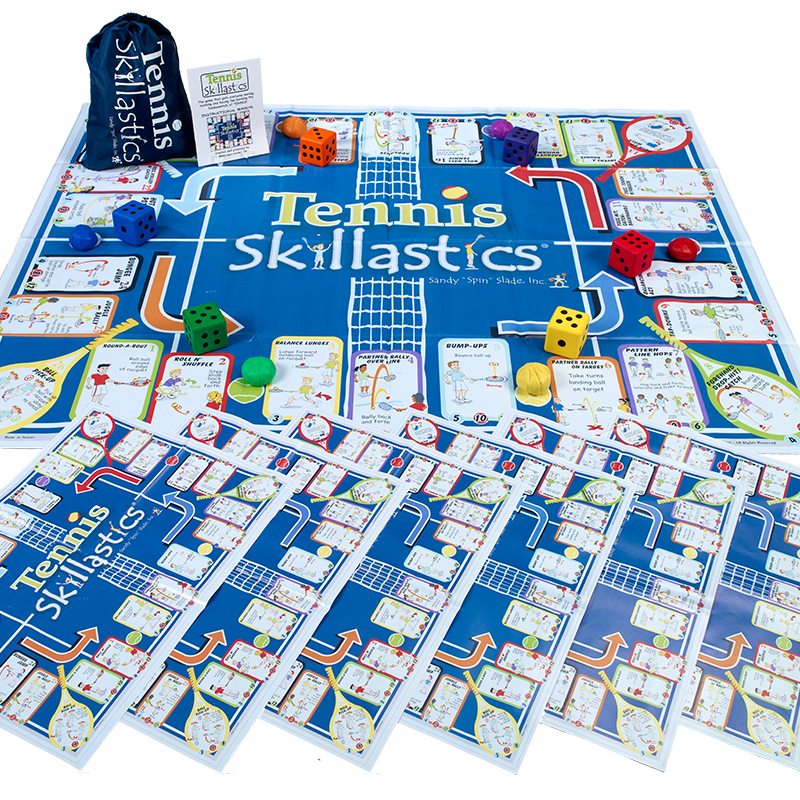 Tennis Skillastics® enhances skill development and maximum participation in an atmosphere of fun using cooperative learning activities. Tennis Skillastics® provides children the opportunity to experience the game of tennis in a fun, non-threatening and structured environment. It is a powerful, collaborative learning activity that increases children’s curiosity when picking up a racquet for the first time. 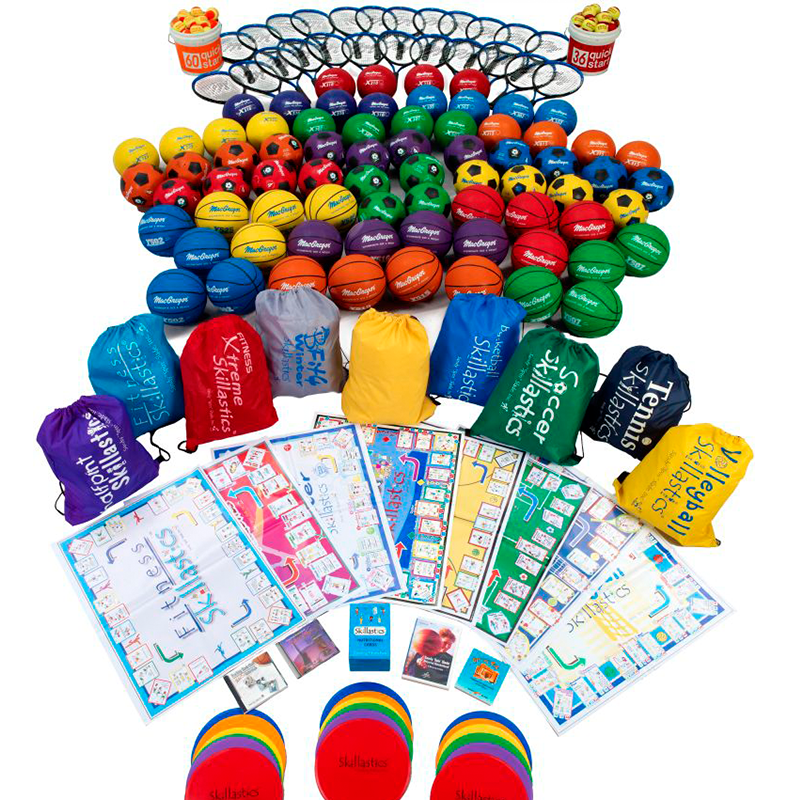 The 26 developmentally appropriate activities include a mixture of tennis skills for individual improvement, partner and team participation. These exercise games are developmentally appropriate for all kids. 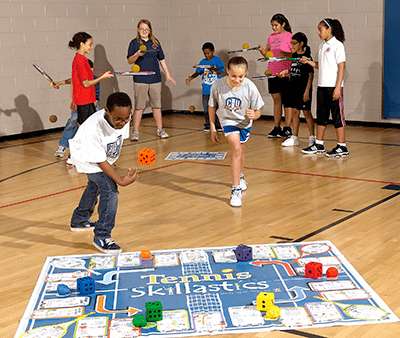 Aligned with the National Physical Education Standards and HEPA AfterSchool Guidelines, Tennis Skillastics® increases hand/eye coordination, improves fine and gross motor control, and fosters team-building and social skills. 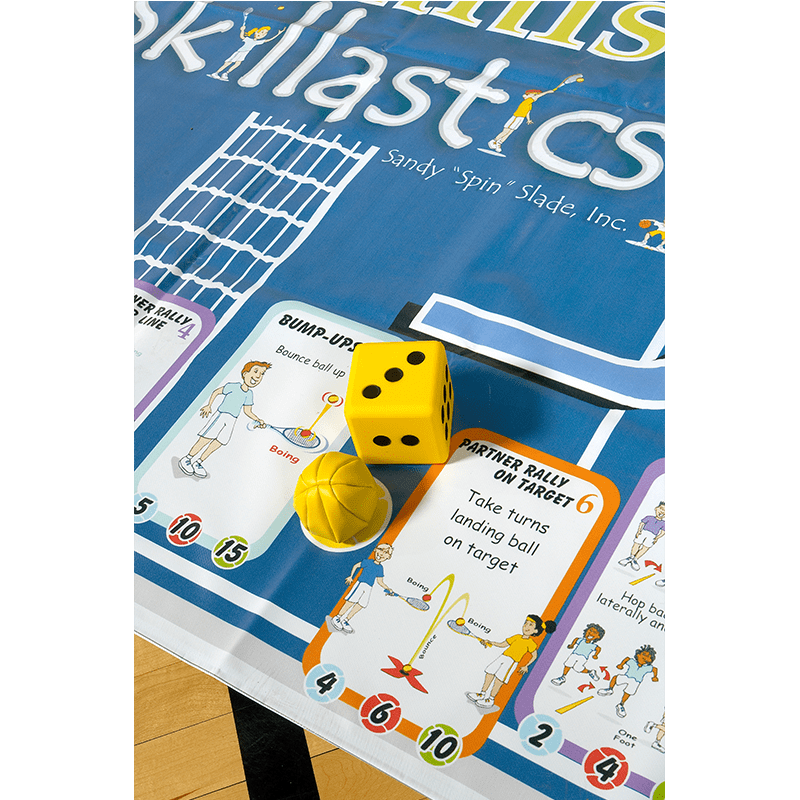 Tennis Skillastics is our go-to activity for fun family friendly tennis activities at community festivals, for warm-ups before Junior Team Tennis matches, and handling large groups of players on the playgroound or gym at schools. You do not need to have tennis courts or nets to play. The activity cards are easy to understand. The play mats are heavy vinyl and long lasting for use both indoors and out. I had the opportunity to use Tennis Skillastics at a workshop. This product is amazing. It would be very beneficial in a Physical Education class. 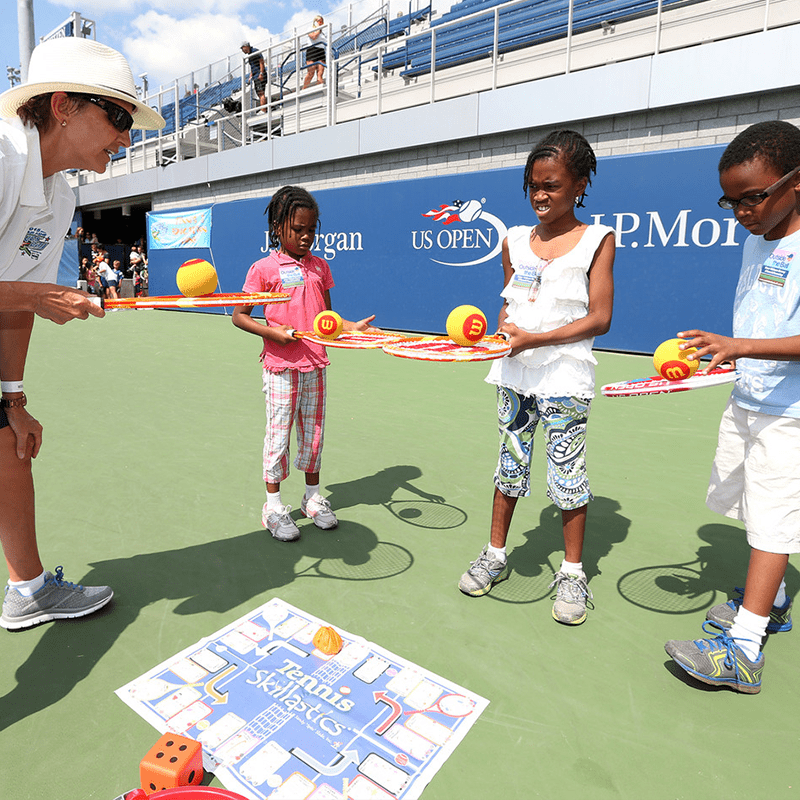 It allows students to improve their tennis skills while having fun. This product has three levels of challenges to help target all levels of ability. Great activity for small space. Equipment that comes with the kit is all very durable. The Tennis Skillastics is a great addition to my Tennis Unit. I am limited in space so the Tennis Skillastics allows me to add 6 additional “courts” when my students are in Physical Education. As students move through the regulation tennis courts in a Round Robin tournament format, groups will rotate through the Tennis Skillastics too. This alleviates groups of students standing around waiting for an open court and allows students to work on their tennis skills during their down time. Often times students enjoy the Tennis Skillastics more than actually playing in their tennis match. 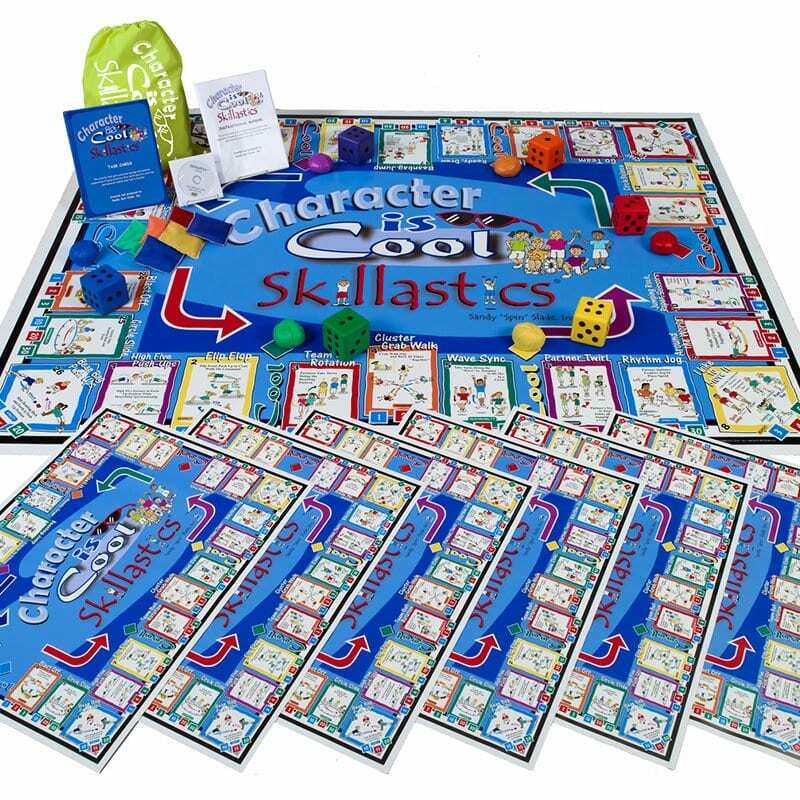 This product is very helpful when you have players at different levels of abilities. Very fast paced to avoid kids getting bored.